We will take you to the beautiful heart of the Bolivian Andes with our trekking and hiking tours. 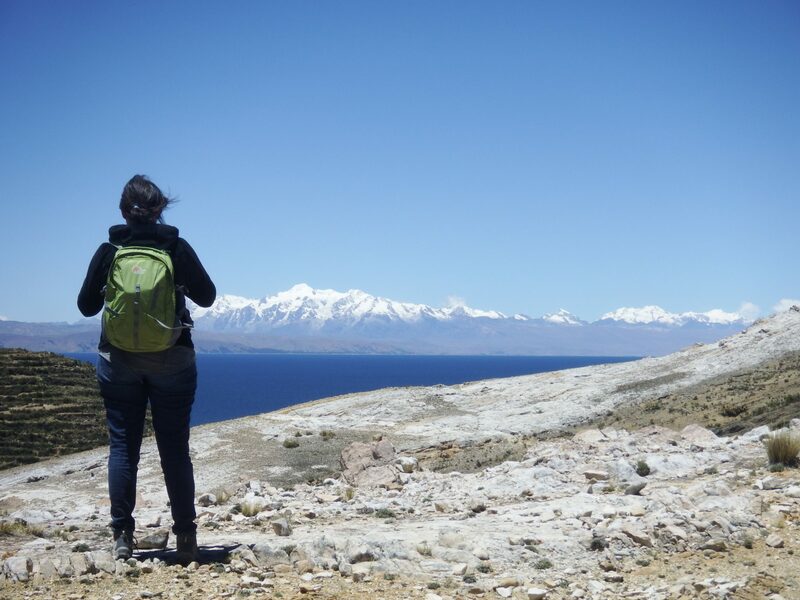 Trekking in Bolivia gets you close to snow-capped mountains in the isolated Cordillera Real or Apolobamba. Walk the tough Apolobamba Circuit and follow some of the best-preserved Inca trails in South America. Or hike the shorter and more accessible but no less stunning 4-day Hichukhota to Condoriri trek. Scale snow-capped peaks of Chearoco, 6,104m/20,026ft, and Mount Huayna Potosi, 6,111m/20,049ft. We also offer walking tours around the sacred Lake Titicaca on ancient Inca pilgrim routes. The Condoriri walk was breathtaking … and on some of those passes, boy, were we taking breaths! Our guide and our cook were terrific, friendly and professional people. The walk was exactly what we were after - isolated (apart from the occasional shepherd) - 99% of the time it was just Janette and I and our guide Pablo, the scenery was extraordinary, the weather was perfect, our health was good (no really bad altitude problems), and the coca leaves were fresh. Join a small group of like-minded travellers on a fixed date, guided tour in Bolivia. Our trip was fantastic, the highlight was a tie between Machu Picchu and the salt flats. Both of those places were unreal. The accommodations were great, the food was great, and the overall organization was awesome. We were so happy with the way everything worked out, and so grateful to you for making our ambitious agenda a reality! Our salt flat guide and driver were amazing, and we really enjoyed spending time with them. Thank you so much for helping us plan everything. You were so delightful to work with, and we were so impressed that you were able to get this adventure together so quickly for us! We will be recommending Andean Trails to our friends/family, and hope to travel with you guys again in the future. You have a great team down there in La Paz. Very organized and well equipped. I really enjoyed it. The scenery is phenomenal!!! Maria is a great cook and never failed to surprise me with the freshness and quality of her meals. Osvaldo was very competent and it was great that he spoke perfect English so dinner conversation was not lacking. I hope I can do another trip with your company. Thanks for everything.